A beautiful native rose that has several clustered instead of solitary pink flowers. It blooms from May-July and often for a second time in fall. The leaflets are sharply pointed and have hints of blue, while the branches are long and arch gracefully. They are armed with vicious thorns, providing birds and small wildlife a safe haven from predators. A riparian species, the Clustered Rose loves moist, even waterlogged, soils and will grow well in a wet garden where other roses would fail. It is found along the Pacific Coast to the Cascade Mountains, USDA zones 7-8. This is a superior variety for crafters and lovers of rosehip jelly as the yield of rosehips are immense! Save some for the birds, though! The following article was written by Colleen Stuckey, who lives on Vancouver Island, British Columbia, Canada.. Description: The Cluster Rose branches arch outward and bend down in a glorious display. A grape vine from an old farmstead, now gone wild, intertwines with the rose. From their branches we can hear the familiar clicking and demands of “who are you? who are you?” from the California Quail who have lived in these bushes as long as we have lived here. They will scamper in front of us when they are feeling particularly bold only to flutter into the branches of another Cluster Rose at the slightest inclination. This rose is simply resplendent, with its gracefully bowing branches, its delicate foliage, its summertime posies and its masses of rosehips. In comparison to the fancy hybrids, the Cluster Rose requires minimal care in terms of fertilization, disease and pest control and pruning. On the other hand, the blooms of the Cluster Rose are simpler and the plant itself is less amenable to training than the fancy hybrids. However, the Cluster Rose is not to be overlooked as a garden plant. It offers two distinct characteristics that make it as desirable as the most glorious roses: its unique shape and its preference for moist, even swampy, locations. At maturity, the Cluster Rose can reach heights of 10’, with a spread of 3-6’. The branches tend to grow straight and then bend down, almost touching the ground. Branches are dark red or sometimes green and are armed with sharp (indeed vicious) thorns, growing in pairs at the leaf axils. On occasion, the branches are completely free of thorns. The leaves are alternate, pinnate (featherlike) and compound, with five to seven serrated leaflets measuring ¾” - 2½” long. 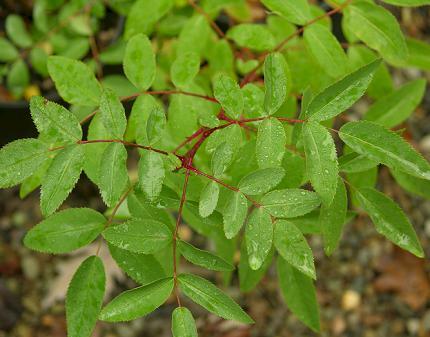 The foliage of the Cluster Rose is unique, being more dense than other wild roses in the Pacific Northwest and having a slightly bluish hue. The flowers form in late May to July, depending upon exposure to sun. This variety flowers later than the Baldhip, Wood’s or Nootka Roses–another distinguishing factor–and occasionally will bloom again in autumn. The flowers are small, pink, and form in clusters of 3 - 6 blooms. 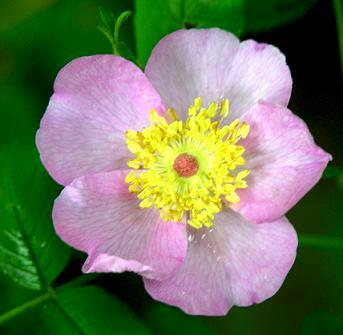 Each flower has five petals, each approximately 1” across. After flowering, small, oblong fruit called hips form. 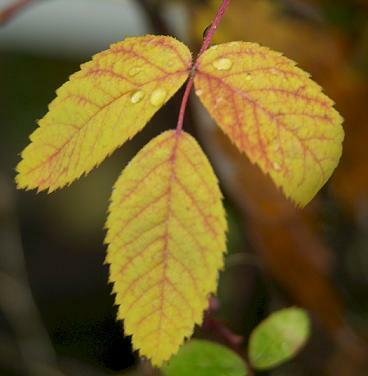 The hips are initially green, turning purplish red (darker than other wild roses of the Pacific Northwest) at maturity. In their immature, green state, the hips resemble peas, leading to the other common name for Rosa pisocarpa – the Peafruit Rose. The seeds are stored inside the hips, surrounded by coarse hairs. All wild roses spread by suckering and can form dense stands. While humans cannot negotiate these thickets (especially with the often tangled, arching branches of the Cluster Rose and its nasty thorns), they offer fantastic nesting sites and ground protection to a myriad of birds and small mammals. Like all wild roses, the Cluster Rose hybridizes freely. In this case, it tends to cross with the Nootka Rose. This makes positive identification rather challenging as hybrids abound. Habitat and Range: The Cluster Rose has a limited range, found in only the southern-most stretches of coastal British Columbia south to California and west to the summit of the Cascade Mountains, in zones 7 – 8. This rose is found at elevations less than 5,000 feet. Unlike other roses whose roots rot in excessively wet locations, the Cluster Rose is a Riparian species, preferring moist soil or swamps and is tolerant of seasonal flooding. They are found on the shores of streams, lakes, wetlands and floodplains. Ornamental Value: The Cluster Rose is a beautiful plant, with its masses of fragrant flowers and long blooming cycle. The unique growing habit of this plant, with its gracefully bowed branches, makes it a lovely landscape addition. Consider this variety if you are planning to construct a pond, a wetland garden or if you are fortunate enough to have a stream or creek in your backyard. Not only will this plant help stabilize the banks but it will attract butterflies, bees, birds and mammals. Furthermore, you will be graced with masses of sweet-smelling roses with a minimal amount of work. 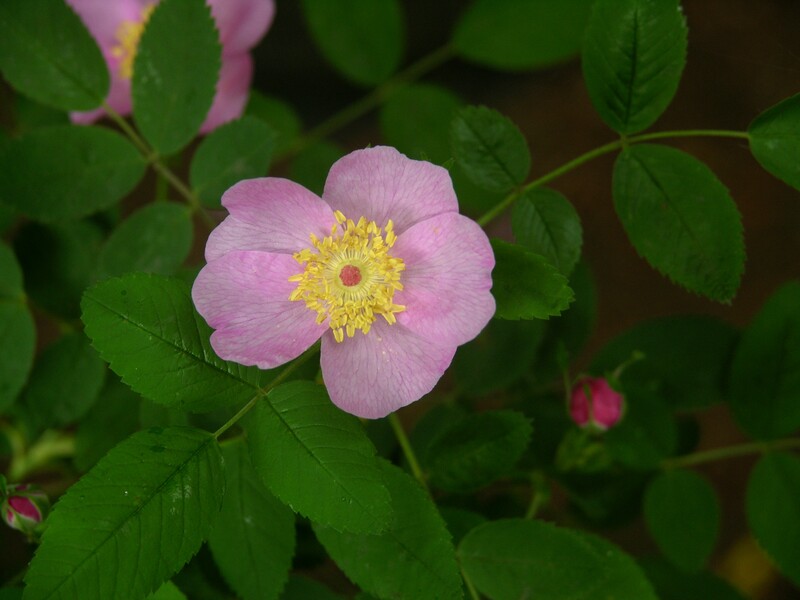 Native Plant Gardening / Wildlife Habitat: The Cluster Rose is browsed by deer and domestic livestock while the hips are eaten by birds, squirrels, deer, coyotes and bear. Small mammals and birds find protection from predators in the thorny branches. The pollen in the flowers feeds bees in summer and the nectar feeds the hummingbirds. 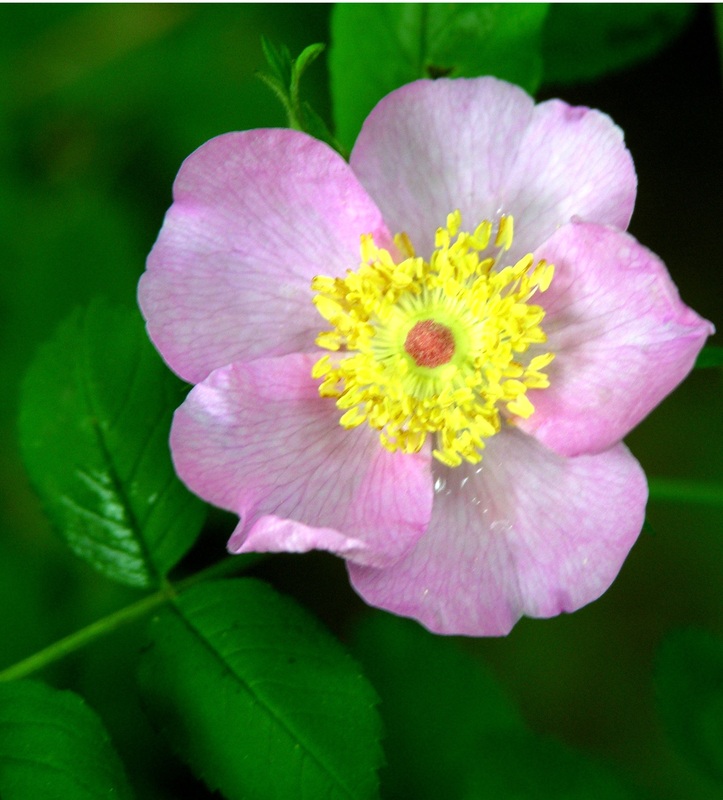 Restoration and Mitigation Value: The Cluster Rose is a riparian species, absolutely invaluable in watershed or wetland restoration and protection projects. Riparian (meaning located on or relating to the edge of a body of water, be it a lake, stream, river, marsh or swamp) areas are extremely critical for erosion and flood control and pollution reduction. After a period of heavy rain or a storm, the runoff or excess water begins to drain out of the main body of water into subsidiary streams and creeks. The roots of the plants found in the riparian zone bind the soil to prevent it from being washed away while simultaneously slowing the flow of water to prevent flooding. Furthermore, the plants here catch sediment before it enters the smaller waterways and chokes them out. As many mammals and birds travel along streams or rivers in their migrations and their search for food or a mate, the riparian zone is of utmost importance to wildlife. It is also important to animals who come to drink water to have a safe place to hide from predators. The Cluster Rose offers not only protection in its thorny branches for birds and small mammals, but also browse and food for deer and food for coyotes, bear and grouse in the hips. 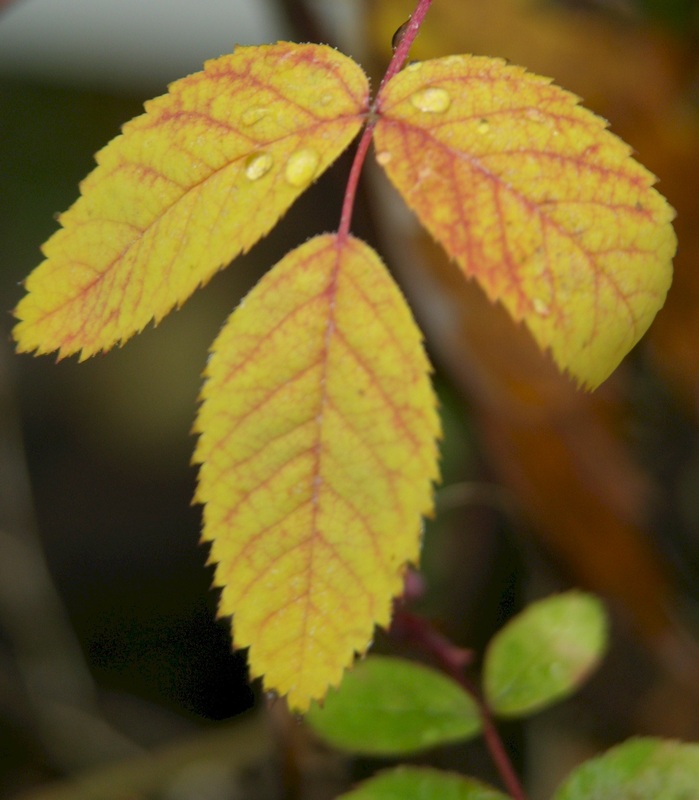 Historical / Cultural uses: Very few First Nations people used the hips of Rosa pisocarpa as a food source, preferring those of the Nootka Rose instead (and they were doubtless easier to harvest in wet, winter weather). The Cluster Rose was more commonly used as a medicine. Women used infusions of the bark after birthing and leaves were placed in moccasins to prevent fungal infections [Turner, Ethnobotany. p.267]. 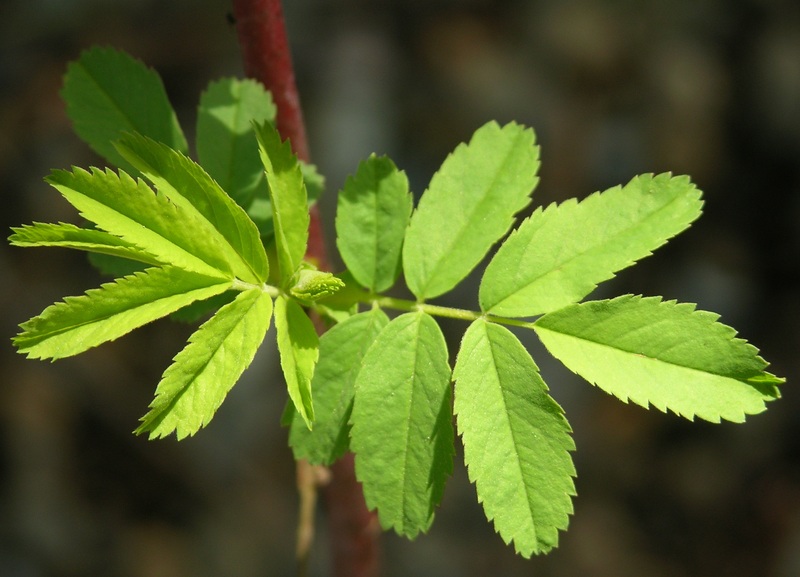 Edible and Medicinal Uses: The Cluster Rose can be used as a food source and vitamin supplement, although great care must taken at the identification and preparation stages. Do not replace conventional medicines with a wild plant without consulting a health care professional. Do not over-harvest: make sure to leave an adequate supply of plant material for wildlife to feed on and for the plant to set seed for the next generation of plants. 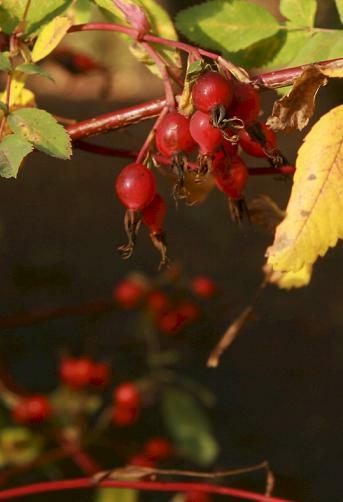 Rosehips are best gathered in the late fall, after a frost, which softens them and increases the sugar content. These can be used to make jams, jellies, teas and syrups. In summer, the petals can be used as a garnish or dried for potpourris. Or try making a rose petal syrup for special occasions by infusing petals in a mixture of boiling water and sugar to taste and steeping overnight. But be warned: this syrup requires a great many petals and you may not want to impress people with it once you go to such an effort! What if they want you to make it again! Pour it on custards, light cakes, ice cream or as a base for sorbet (see Creasy for recipe details). 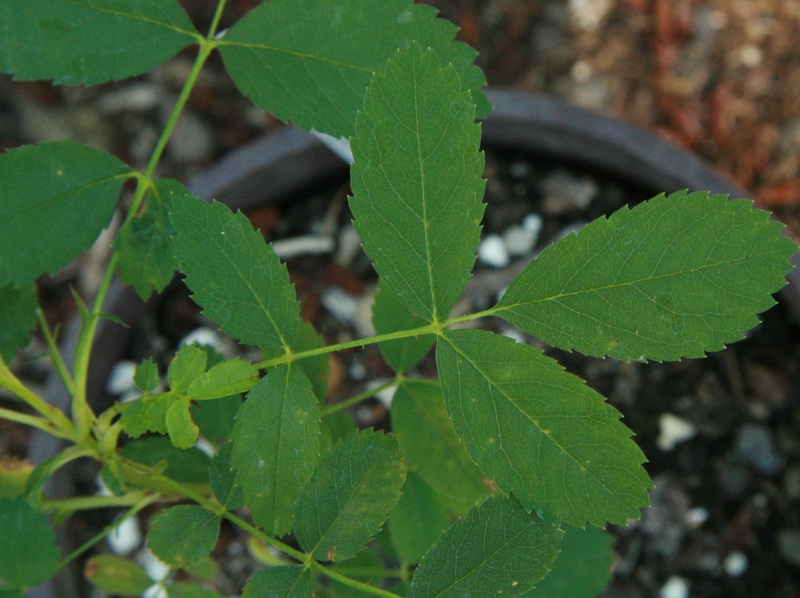 Propagation Techniques: The seeds of the mature Cluster Rose can be collected and sown outdoors in the fall. Germination is slow, often taking two years. Scarification (nicking the seed with a knife or rubbing them with a nail file or sand paper) and stratification (packing seeds in a bag of moist peat moss in the freezer for two or three weeks) are two methods that can speed germination. Semi-ripe cuttings can be taken in July, although these may take as long as a year to become established. The cuttings may be more successful if soaked in a tea made from the leaves [Howarth and Keanne]. By far the easiest way to propagate wild roses is to gently dig up the suckers and transplant. Pests and Diseases: The Cluster Rose is affected by a variety of diseases, although it generally continues to grow even while fighting disease or pest attack, unlike the more fragile exotic garden plants. For a short comparison of northwest native roses, click here.